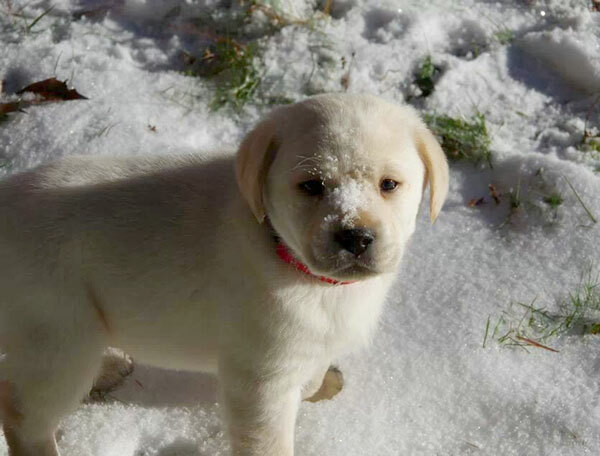 Welcome to Miller Labradors website! 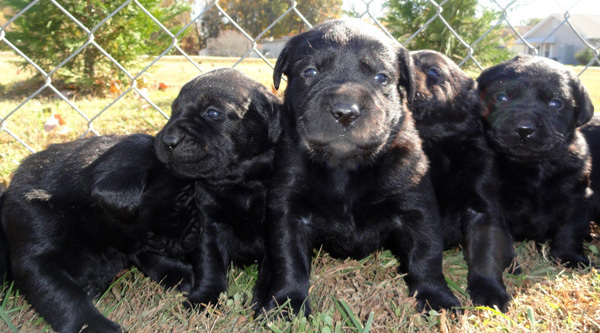 Miller Labradors is a Breeder of AKC Labrador Retrievers we have varieties of Chocolate, Yellow and/or black in color. 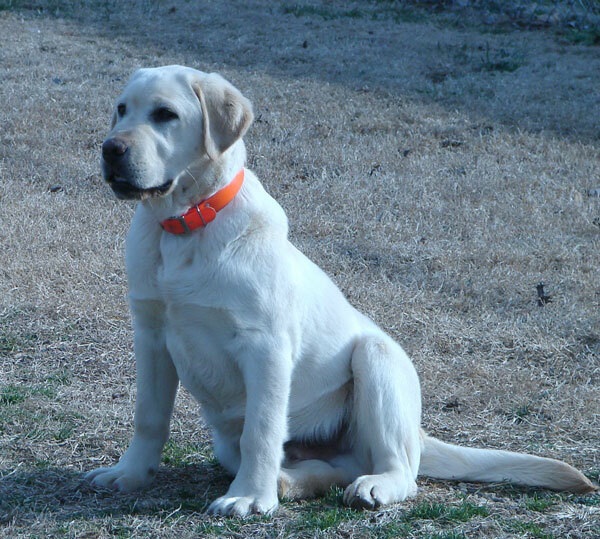 Our Labrador Retrievers are English style Labs that are known for their great temperament. 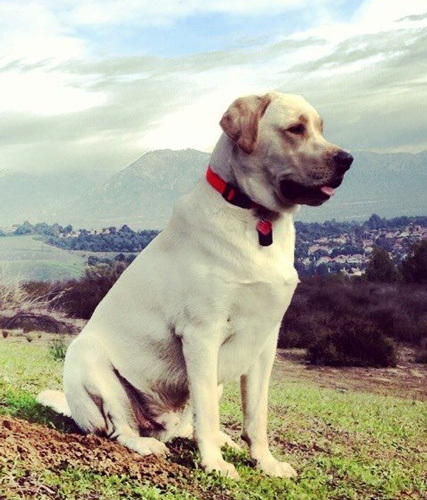 This Labrador breed has a block-head and a solid build and a distinctive otter tail. Our Champion bloodline is strong in all our dogs. 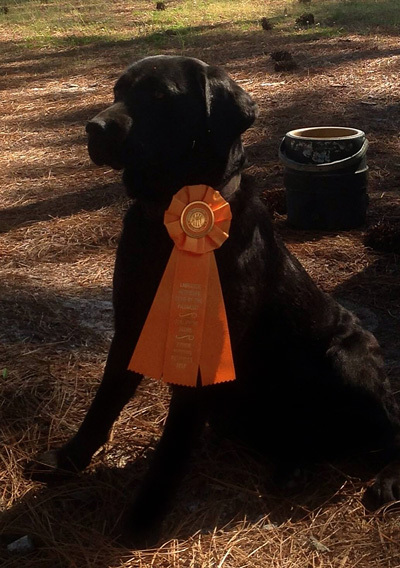 Our dedication allows us to provide our customers with quality as well as that wonderful Labrador personality. The health of our dogs is very important to us, so we raise healthy Labs to supply to our customers. Mack lives in California now. He was 1 year old in the above photo.
" Mack is doing wonderful. He's still such a big puppy and absolutely loves everyone. He knows when to be gentle around kids and when to play rough. I don't think there's a mean bone in his body. And he definitely looks after his 'sister' Kaiya! You guys have some amazing dogs!" Daisy's new litter (her first liter) is here. Her liter is all Black! 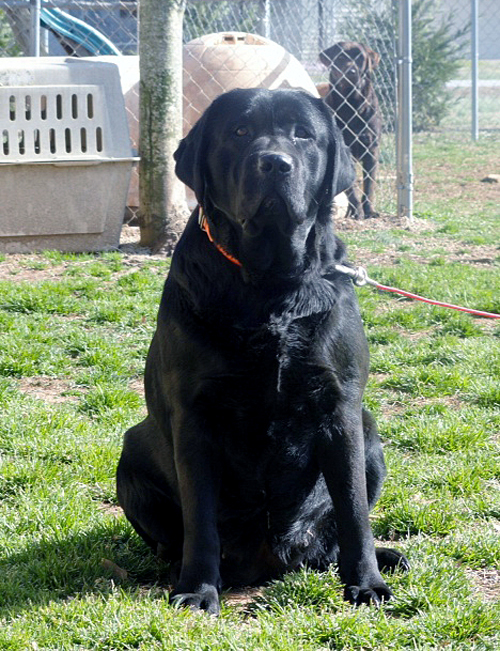 Miller Labradors is located in Salisbury, North Carolina and owned by Kenneth Miller. Page layout © 2009 Goodnight Art & Design , All rights reserved. No part of this site or content may be copied or reproduced without Written Permission! !